Elias' life and all the things I am learning through him is no mistake. 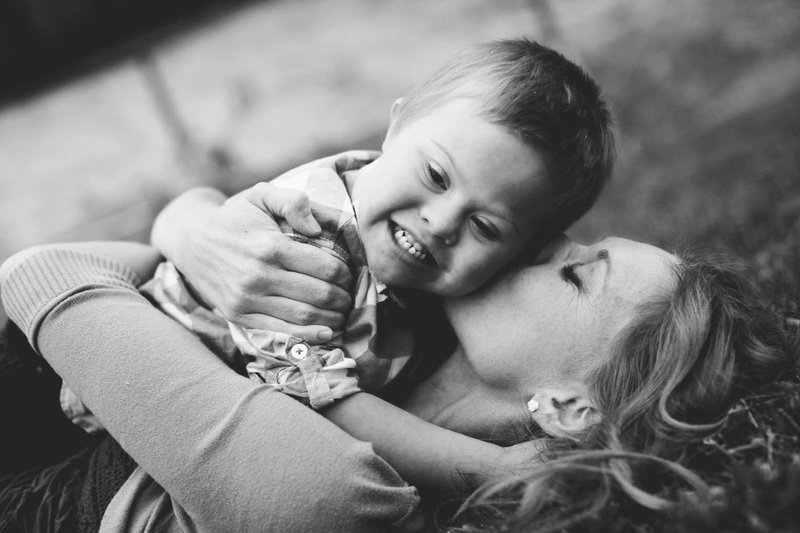 There was no mistake when his extra chromosome was strategically placed by the Creator of the universe. There was no chance or fluke that a younger woman—me—would carry a boy like Elias. Everything was carefully planned and artistically woven together in my belly when God created my son. 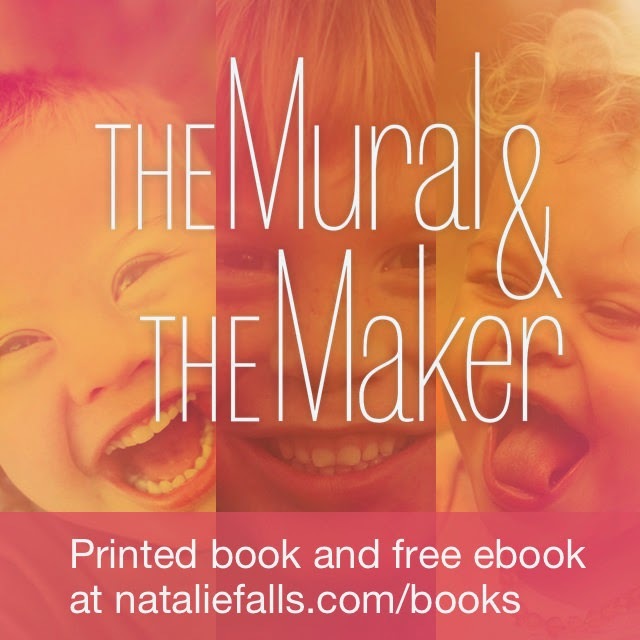 Natalie Falls just released her new book, The Mural & The Maker. You can download a free copy or order a print version at nataliefalls.com. Enjoy! In my previous post I detailed why I cannot accept the ice-bucket challenge. Since then, I've received a lot of feedback. As of writing this, my original post has over 1.5 million hits, which is a lot considering normally about 3 people read my blog (and 2 of those people are my mom and my wife). There's a few common responses I've received from a number of different people, and I wanted to take a moment to respond to each of these. "An embyro is not a baby." I want to simplify what some people think is a difficult issue: abortion. There is only one question that needs to be answered to resolve the moral question of abortion. That question is: what is it? What is the unborn? Abortion entails destroying and discarding something that is alive. Whether it’s right or not to do that depends entirely on the answer to only one question: what is it? If abortion does not take the life of an innocent human being, then no justification for abortion is necessary. You don’t have to talk about choice, privacy, and your personal financial circumstances. If it doesn’t take an innocent human being’s life, just have the abortion. However, if it does take the life of an innocent human being, then none of those justifications normally given for abortion are adequate. We do not take the lives of innocent human beings simply because they are in the way, or because we have a choice, or because we have privacy with our doctor, or any of those other reasons. This simplifies the issue immensely. First, you figure out what is it that dies in an abortion. Then, you will have the answer to the moral question. Yes, it is that simple. Some people may not be convinced that human life begins at conception as I am. But I think that most would concede that it's at least possible that it does. And if there's even a sliver of a chance that life begins at conception, then destroying it is evil. Imagine this. We're about to destroy a building. It's an old, worthless building, and it needs to be demolished to make way for a new scientific research facility. It's set up for demolition with explosive charges. But then one of the workers says that they thought they heard a baby crying inside the building. There's only a chance that there's a life in there, and if we delay the demolition, then it will delay construction, and important scientific research will be delayed. Do we demolish the building anyway? No! Of course not! We do whatever we can to save the possible human life in that building. Why? Because human life is precious. So for me, the possibility of my donation funding research fueled by dead children is unacceptable. Unless the ALS Association can guarantee that they won’t subsidize embryonic stem cell research with my donation, then I’m going to look for other places to make a difference. "It's not like an embryo can feel pain!" Second, I've heard from people who've said that maybe an embryo is a human life, but even so it's okay to destroy it because it doesn't have feeling or consciousness, and much good can be done by it's destruction. To these people, I'd like to ask what is it that makes human life valuable? Some would say that life is only valuable to the extent that it can be experienced. For example, Peter Singer, the Princeton University bioethics professor, has argued that abortions may be acceptable even after babies are born. He argues that newborns lack the essential characteristics of personhood (which he defines as "rationality, autonomy, and self-consciousness"), and therefore "killing a newborn baby is never equivalent to killing a person, that is, a being who wants to go on living" but rather, he says "Sometimes it is not wrong at all." But (almost) all sane people have innate moral knowledge that murdering an innocent baby is wrong. Period. Ultimately, this line of thinking reduces to the argument that it is the quality of a person's life that determines the value of a person's life. But if that were true, then we could justify all sorts of murder! We can imagine scenarios in which people are temporarily in a coma, or paralyzed so that they cannot feel pain or experience consciousness. Surely we would not think it okay to discard these lives! This line of thought is not a new idea. In fact, a form of this idea gained traction and popularity after emerging in the 1870s as Social Darwinism. This utilitarian ethic roots the value of human life in how an individual human can benefit humanity as a whole. It holds that the Darwinian concept of "survival of the fittest" can be applied to societal structures so that we weed out weak humans while promoting the survival of strong humans, thus bettering humanity and society. This concept ultimately paved the path which the Nazi's used to justify the holocaust, claiming they were weeding out society's weak elements. By contrast, the Christian perspective is that human life is valuable because we are each created in the image of God (Gen. 1:27, 9:6). We each reflect and represent God to a degree, and so humans have distinctive value and worth among God's creation. And so each human life is precious and valuable, not based upon how much of life it experiences or the quality of a person's life or its contribution to humanity, but rather human life is intrinsically valuable because our very nature (albeit corrupted by sin) reflects the majesty of our Creator. "Why not participate in the ice-bucket challenge and send your donation elsewhere?" Many people have pointed out that there are many commendable pro-life organizations doing great work for ALS that I could direct my donation to. So, they ask, why don't I just accept the challenge, and then send my donation to one of these organizations? Let me try to answer this. My thought was this: If I accept the ice-bucket challenge, and mention at the end of the challenge that I'm donating to a pro-life organization, then most likely the next few people who accept my challenge may do the same--which would be great. But by the time it passes to a few people down the line, I'm guessing the pro-life message would be lost and people would be donating to the ALS Association again. In other words, the ice-bucket challenge is just as much about raising publicity as it is about raising money, and I didn't want to send publicity in the wrong direction by participating in the challenge that the ALS Association designed. What I was hoping would happen is that someone would be creative and start a different type of challenge that I could participate in (maybe dumping colored water on your head, or something entirely different--I'm not that creative). That's what I was trying to get at at the end of my previous blog entry. Also, at this point, it seems that not doing the challenge (at least for me) was a far more effective way to reach people about the serious ethical problems of embryonic stem cell research. Just to be clear in regards to this last question, if you think about this and still decide to take the challenge and donate to a pro-life organization, then I have absolutely no judgment of you whatsoever. In my mind, this is not a black and white issue. It's a delicate balance of trying to live in this world without being of this world, and that may look different for different people. So my encouragement is the same as before. Please think deeply about the causes you support and your reasons for supporting them. Don't jump on the bandwagon in a frenzy to belong and be part of something. Jump on the bandwagon because you've thoughtfully decided that the bandwagon is a virtuous place to be. "What pro-life organizations can I donate towards that will benefit people with ALS?" "How can I be better equipped to think about these important issues?" Finally, some people have contacted me asking how they can be better equipped to think about these important issues. Below are some resources on pro-life issues to help you be equipped to know what you believe and why you believe it so that you can stand for life. This world needs more thoughtful, intelligent, warmhearted Christians who wear Christ attractively, so that this world sees our message as credible and true. I've listed these resources in order from beginner resources (for those who are just beginning to explore these sorts of questions), to more advanced resources (for those with deeper questions). I sincerely hope these are helpful! Recently, I've received a few "ALS ice-bucket challenges" which I cannot accept. I don't fault any of my friends for giving me this challenge. Thanks for thinking of me and trying to include me! Really. You guys are awesome, and it was really fun watching you shiver! Amytrophic lateral sclerosis (ALS), more popularly known as Lou Gehrig's disease, is a horrible neurodegenerative disease affecting everything from speech and swallowing to basic mobility. I personally have friends whose parents have languished and died from this disease, and experts estimate that 30,000 Americans suffer from this disease. It's as good a place as any to focus medical research efforts. But I cannot accept the challenge, and I hope you'll understand why. It's not because I'm afraid of cold water. (Although that's true). My concern is where the publicity and money might go. Specifically, I'm concerned with the KIND of research that might be financed by my hypothetical promotional activity. (For those who don't know what this is, you're supposed to dump a bucket of ice-water on your head, and video it, and then challenge others to do it. If you don't do it, you're supposed to give $100 to the ALS Assocation, and if you do do it, you either don't have to give any money to the ALSA or you're supposed to give $10 to the ALSA, depending on the version). UPDATE: Since I originally posted this, the ALS Association has changed their website. Screenshots of the original, which I cited, can be found here. Sometimes, stem cells are harvested as part of in-vitro fertilization as described above, and other times they are harvested as part of an abortion procedure. For example, one clinical trial, which was supported by the ALS Association with a $500,000 grant involved "stem cells ... from the spinal cord of a single fetus electively aborted after eight weeks of gestation." At 8 weeks, a baby has it's own unique DNA, is 2 centimeters long, has tiny fingers and toes, and a heart beat of about 160 beats per minute. Some might argue that life does not begin at conception. But the other options seem entirely subjective scientifically and unsupported biblically. 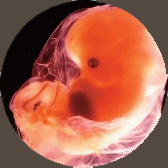 Some say life begins not at conception, but implantation or even birth--as if the location of the embryo should determine when it is alive. Some say that it's when the embryo is viable, but this point is completely subjective and would mean that now life begins far sooner than it did a few years ago when we didn't have the technology to save early preterm infants. At conception, a baby has a unique genetic code, and all of the necessary building blocks for life, and the Bible attributes the properties of personhood to us from conception (Psa 139:13-16, Job 10:8-12, Jer 1:5, Psa 51:5, Luk 1:39-44, Ex 21:22-24). The reason this is important is because as a Christian, I believe that no human life is intrinsically worth more than another human life. All humans are created in the image of God (Gen. 1:27, 9:6), and therefore are uniquely valuable and have distinctive worth. We're not all born "equal" in the sense that we're all able to run equally fast or complete math problems equally well, but we are all equally created in the image of God, and this is where we derive our worth and value. The problem with embryonic stem cell research is two-fold: first, it is morally reprehensible to anyone who believes that life begins at conception. Imagine the outrage that would happen if scientists proposed we grew infants and children for the express purpose of performing lethal experiments on them, no matter how scientifically helpful the results would be. Secondly, if there is a breakthrough involving embryonic stem cell research, then the resulting treatment would involve mass harvesting of embryonic stem cells, and therefore mass abortions. In short, embryonic stem cell research involves the destruction of innocent human life. And therefore, I cannot promote donations to this particular organization when it thinks that infanticide is a legitimate way to save other human beings. This is a good time to consider the effect that social media activism is having on our culture--and ourselves as actors in it. ...I very much believe in this medium’s capacity for acting as a vehicle for good, yet I also recognize how instant-connectivity is a double-edged sword, making it much easier for a "herd mentality" to develop. Which is all fine and good when the herd is headed in the correct direction, right? But peer pressure blows perspective out of the water as we race to belong without first stepping back and considering each and every dimension before clicking “like” or share. How many of you stopped and investigated HOW your money would be spent before emptying the ice cube trays? Exactly. You shouldn’t feel bad about it! That’s not my point. You should feel a little weird and more than a little prone towards caution in the future. So don’t look at this as a call for inaction. I’m asking you to be as active as ever and creative, too; what we’re looking for is a higher level of self-awareness the next time a Facebook buddy tags you with the best of intentions.